Eric Dop corrals the puck on 1/20/18. 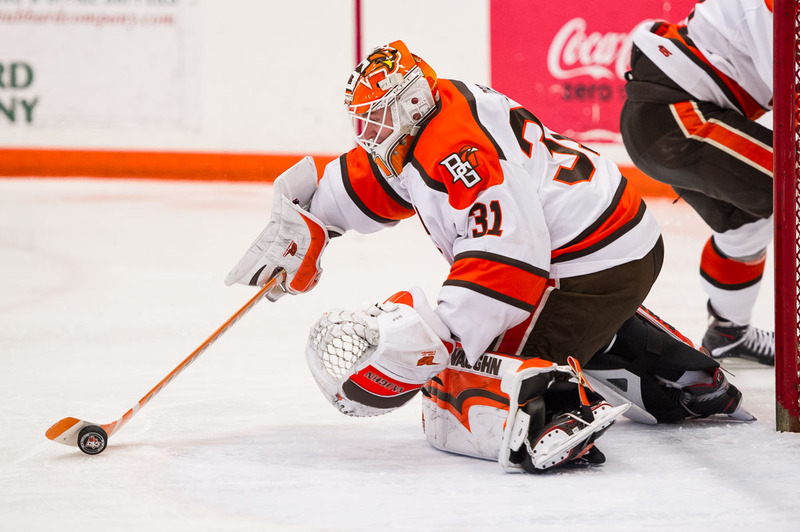 Dop had 34 saves for the Falcons Friday night against Alaska-Anchorage (Photo by Todd Pavlack/BGSUHockey.com). Anchorage, AK – Friday night became a goalie showdown as both Eric Dop and Brody Claeys combined for shutouts through 65 minutes of play. The 10th-ranked Falcons eventually earned the extra league point in double overtime to unofficially break the 0-0 tie. Eric Dop started in net for the Falcons and stopped all 34 shots faced for his first career shutout. Brody Claeys had 28 saves on 29 chances for the Seawolves, but is credited with a shutout as well as the goal allowed came during the unofficial time. Neither team could find the net in the first period. The Seawolves had 12 shots on net while the Falcons had seven chances. The second period again saw neither team able to solve their opposing goaltenders. Shots were 12 to nine in favor of Alaska-Anchorage. With a great sense of deja vu, the teams were unable to find the net in the third period as well and the game went to an overtime period. The Seawolves had eight shots in the third period while the Falcons had seven. 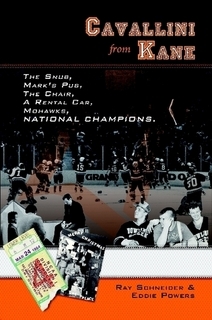 The game would head to a second overtime period with neither team finding the net in the bonus period. Officially the game is counted as a tie for NCAA/Pairwise purposes but proceeded to a second overtime to determine which team would earn the extra WCHA point. Bowling Green had four shots in the overtime period while Alaska-Anchorage had just a single chance. The Falcons finally tallied the game’s lone goal at 2:20 of the second overtime period. Chris Pohlkamp buried a shot from the deep slot to earn the extra WCHA point. Lukas Craggs had the lone assist on the scoring play. Bowling Green had two shots in the second overtime period while Alaska-Anchorage had one chance. Bowling Green’s record now reads 7-2-1, 1-1-1-1. Alaska-Anchorage’s new record is 1-5-1, 0-4-1-0. The teams will conclude their weekend series Saturday at 11:07 PM.